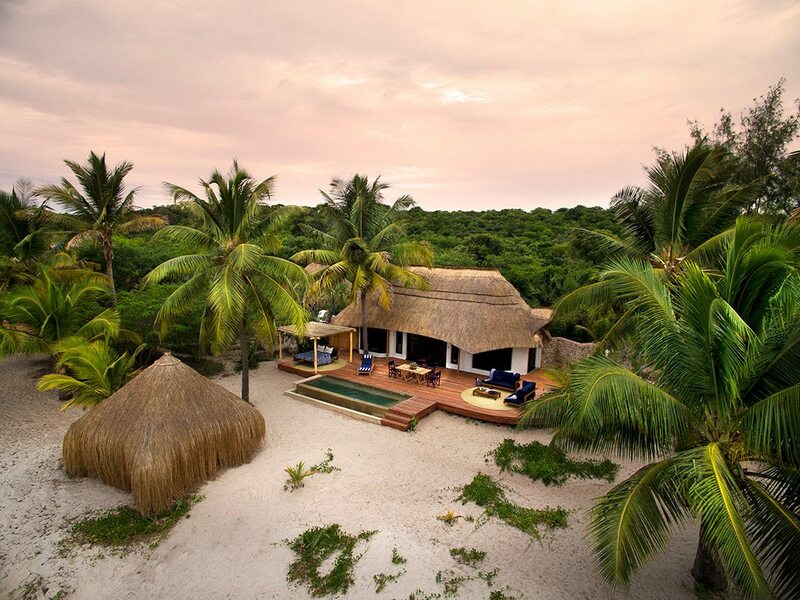 Tucked into a lush indigenous forest overlooking a palm-fringed sandy beach on Benguerra Island, Benguerra Island Lodge – a luxury Mozambique beach lodge – is surrounded by a marine conservation area on the Bazaruto Archipelago. 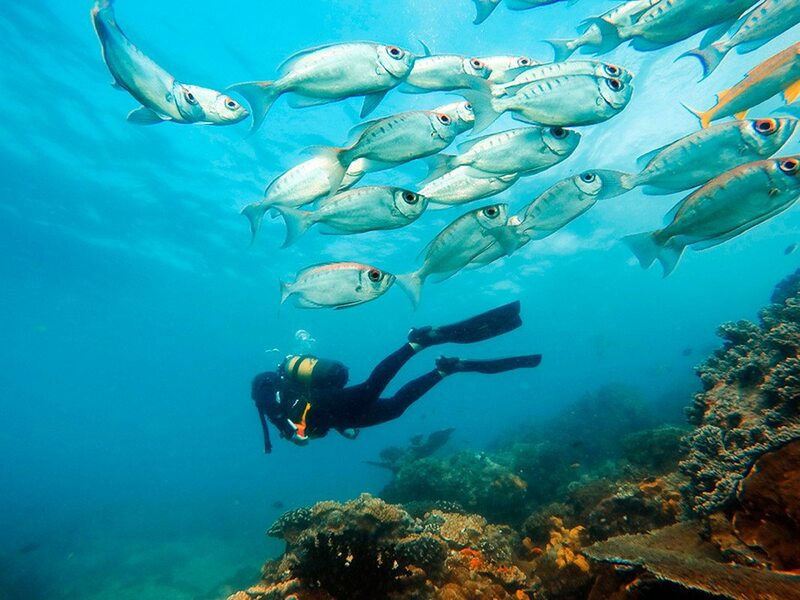 With idyllic swimming, snorkelling and diving, you might even be lucky enough to see an endangered dugong. After a spectacular helicopter ride, we’re guided along a path through the forest, with the distant sound of singing merging with the chirrups and tweets of a multitude of birds. As we approach Benguerra Island Lodge, the source of the singing is revealed: a chorus of staff passionately belting out a traditional African welcome song.We’re offered a cool towel and a glass of passion-fruit juice while our luggage precedes us to our chalet. 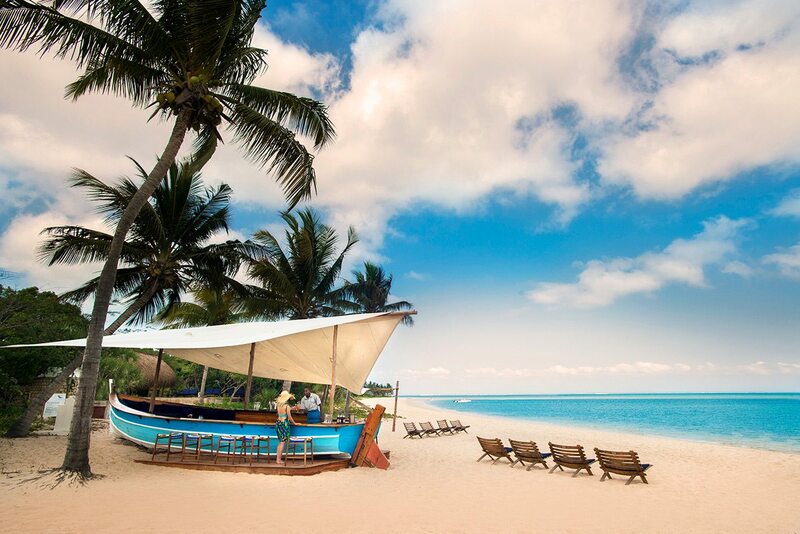 Before we follow it, we sit in the lobby and soak in the views of the turquoise Indian Ocean, watching the tides come in over a pearly white beach fringed with palms, so picturesque it almost seems unreal. After a spectacular helicopter ride, we’re guided along a path through the forest, with the distant sound of singing merging with the chirrups and tweets of a multitude of birds. As we approach Benguerra Island Lodge, the source of the singing is revealed: a chorus of staff passionately belting out a traditional African welcome song. We’re offered a cool towel and a glass of passion-fruit juice while our luggage precedes us to our chalet. Before we follow it, we sit in the lobby and soak in the views of the turquoise Indian Ocean, watching the tides come in over a pearly white beach fringed with palms, so picturesque it almost seems unreal. Our room is in one of 13 thatched-roofed suites along the beach, surrounded by dense foliage that gives it a complete sense of privacy. Its dark wooden furniture and sea-blue linens complement its spacious, airy interior, which has a minimalist feel with an elegant four-poster bed and large windows with dark, wooden shutters.My partner pulls open the tall sliding doors to let in the ocean-cooled breeze, and we venture out to the deck to take in the magnificent Indian Ocean views. It’s hard to believe that this was once a basic fishing lodge; our deck has sun loungers, a dining area and an ‘outdoor lounge’ with plush couches. At its foot lies an infinity pool, and there’s a suspended daybed in the far corner.While my partner settles into the woven hammock for an afternoon siesta, I soak in the ocean-facing tub, which is big enough for two! From here, I can gaze out onto the Indian Ocean, looking for signs of the dolphin or whale that frequent this marine sanctuary, or just watch palm leaves swaying in the breeze. Our room is in one of 13 thatched-roofed suites along the beach, surrounded by dense foliage that gives it a complete sense of privacy. 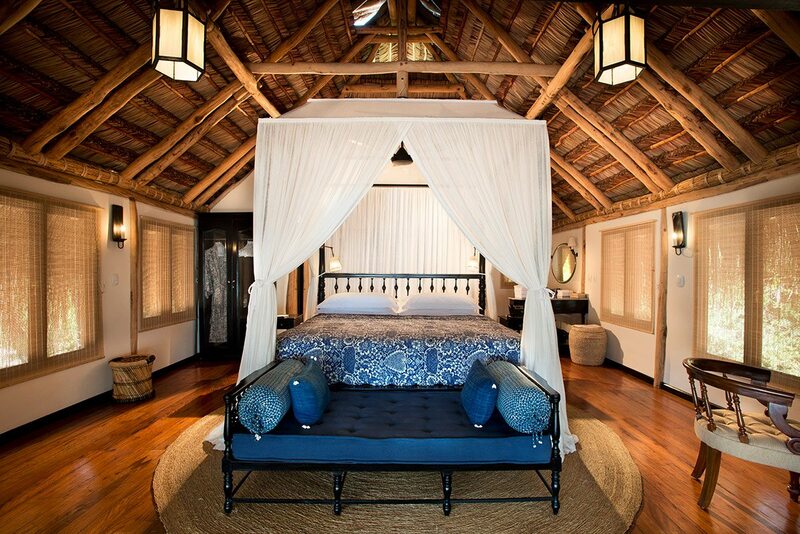 Its dark wooden furniture and sea-blue linens complement its spacious, airy interior, which has a minimalist feel with an elegant four-poster bed and large windows with dark, wooden shutters. 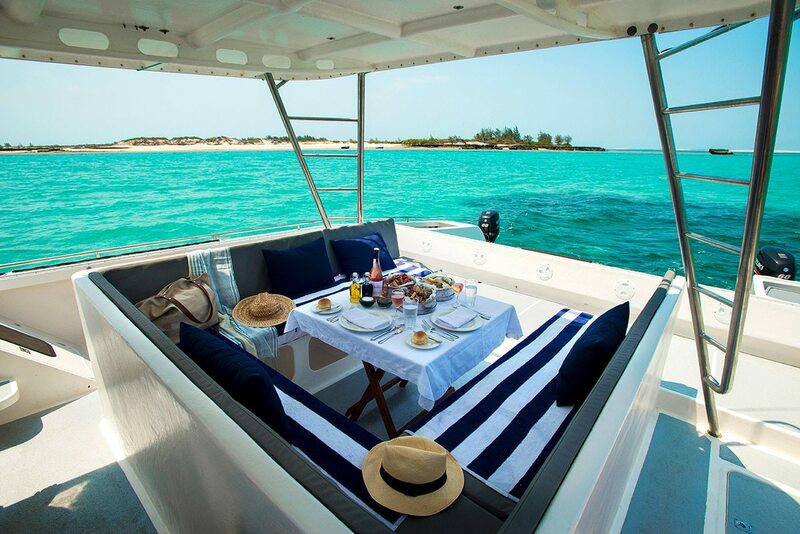 My partner pulls open the tall sliding doors to let in the ocean-cooled breeze, and we venture out to the deck to take in the magnificent Indian Ocean views. It’s hard to believe that this was once a basic fishing lodge; our deck has sun loungers, a dining area and an ‘outdoor lounge’ with plush couches. At its foot lies an infinity pool, and there’s a suspended daybed in the far corner. While my partner settles into the woven hammock for an afternoon siesta, I soak in the ocean-facing tub, which is big enough for two! From here, I can gaze out onto the Indian Ocean, looking for signs of the dolphin or whale that frequent this marine sanctuary, or just watch palm leaves swaying in the breeze. You couldn’t ask for a better location than Benguerra Island Lodge. Your own stretch of beach is just footsteps away, you have a private plunge pool and the surrounding waters of the Mozambique Channel are a diver’s paradise of unspoiled coral reefs teeming with tropical fish.We couldn’t believe our luck when we encountered a dugong, a rare mammal that looks like a manatee, but with a fluked tail like a whale’s. After a drink in the outdoor bar – made from a reclaimed dhow – we learned that a dugong can stay underwater for six minutes before surfacing, often breathing by balancing on its tail with its head above water, almost as if standing!A horse-riding trip allowed us to explore the island and its forests, wetlands and freshwater lakes, and discover its local culture, and a remote sandbar picnic included the thrill of watching the tide come in.As one of only two resorts on the island – that coordinate with each other to ensure excursions don’t overlap – there’s a sense of complete isolation and exclusivity. And with an array of delicious meals included, the only decision becomes whether to eat in your villa, in the dining room, at the dhow bar on or on beach. 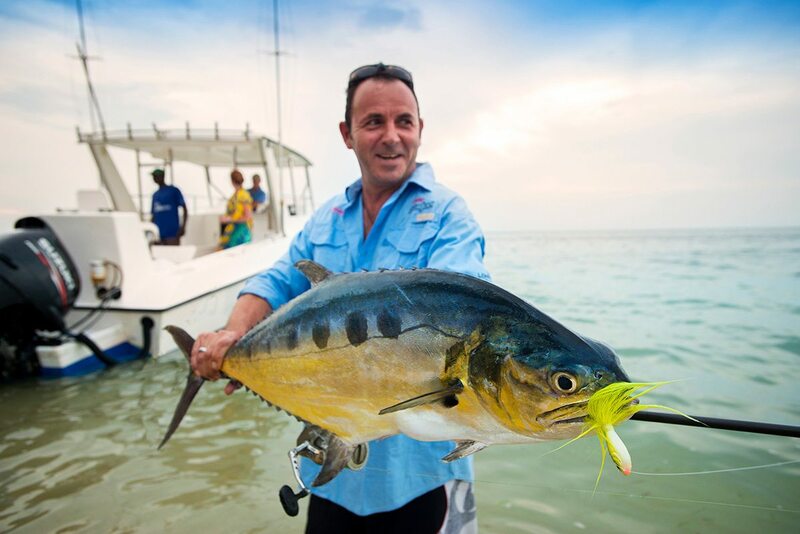 You couldn’t ask for a better location than Benguerra Island Lodge. 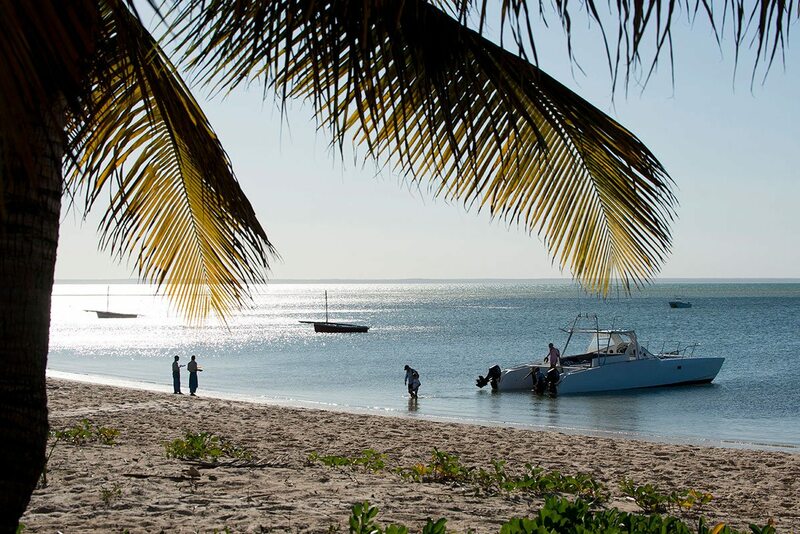 Your own stretch of beach is just footsteps away, you have a private plunge pool and the surrounding waters of the Mozambique Channel are a diver’s paradise of unspoiled coral reefs teeming with tropical fish. We couldn’t believe our luck when we encountered a dugong, a rare mammal that looks like a manatee, but with a fluked tail like a whale’s. 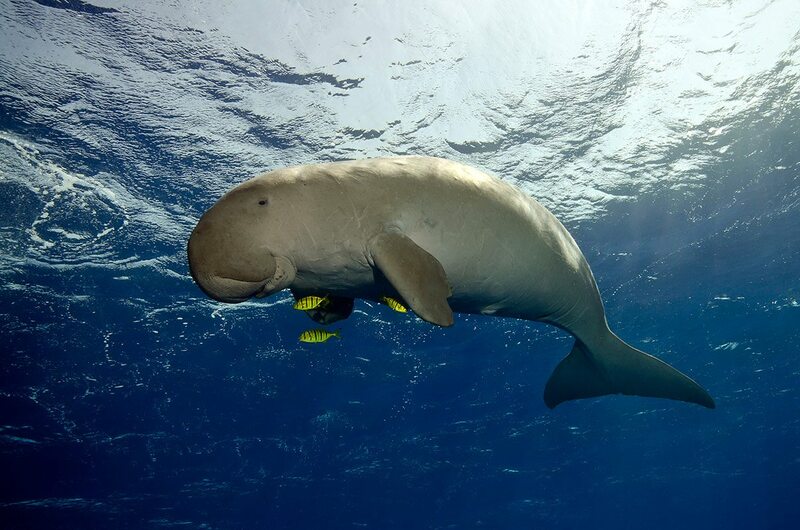 After a drink in the outdoor bar – made from a reclaimed dhow – we learned that a dugong can stay underwater for six minutes before surfacing, often breathing by balancing on its tail with its head above water, almost as if standing! A horse-riding trip allowed us to explore the island and its forests, wetlands and freshwater lakes, and discover its local culture, and a remote sandbar picnic included the thrill of watching the tide come in. As one of only two resorts on the island – that coordinate with each other to ensure excursions don’t overlap – there’s a sense of complete isolation and exclusivity. And with an array of delicious meals included, the only decision becomes whether to eat in your villa, in the dining room, at the dhow bar on or on beach. 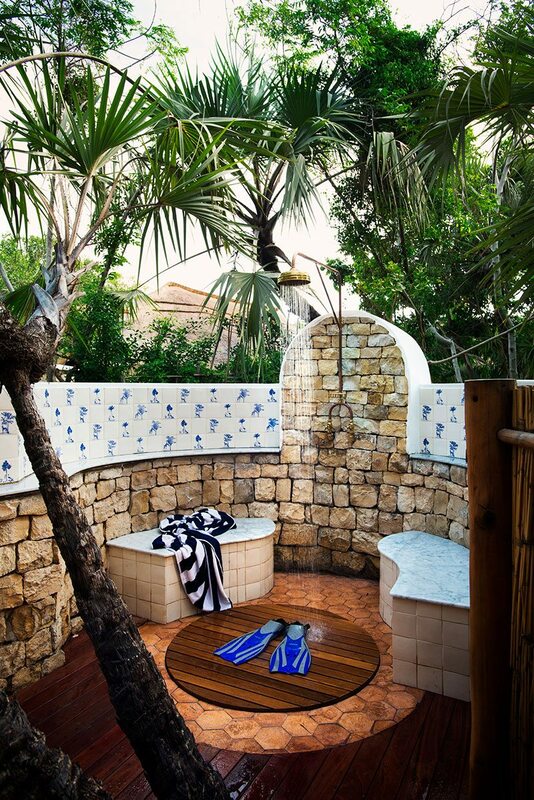 Exclusive beachside lodge with 13 luxury suites with private plunge pools: 10 casinhas (cottages), two cabanas and the three-bedroom Casa de Familia (family house). 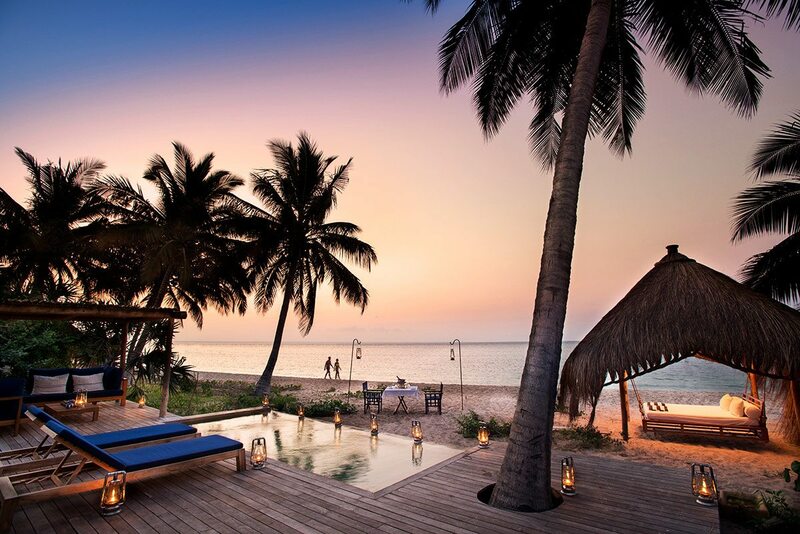 The lodge has an infinity pool, beach shop, dive centre and massage sala. 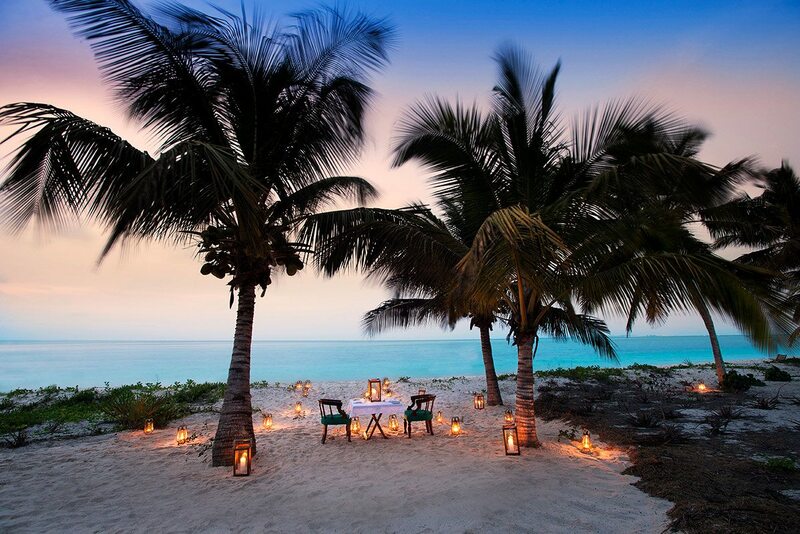 Private location on Benguerra Island within a marine national park, flexible schedules and individual and private dining available. 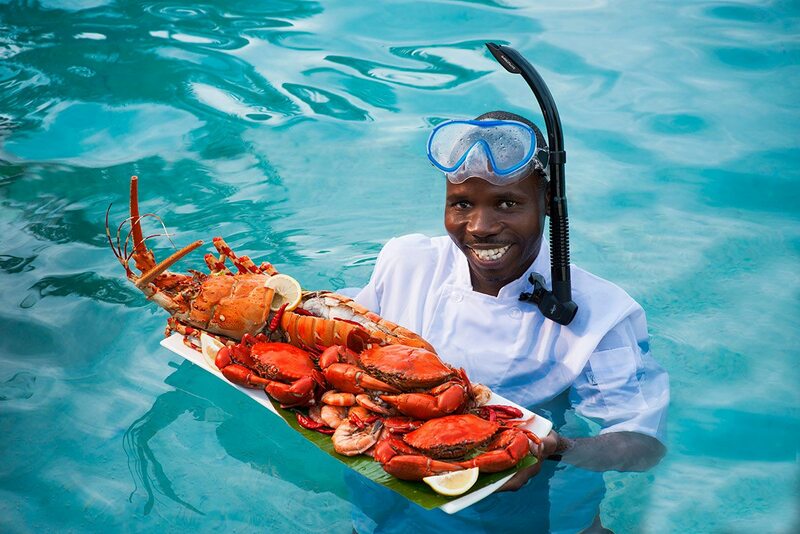 Scuba diving, snorkelling, deep-sea and fly fishing (additional cost), kayaking, catamaran cruises (additional cost), sunset dhow cruises, horse riding, island expeditions, castaway sandbar picnics, community visits, birdwatching, helicopter rides (additional cost) and spa treatments (additional cost). Children welcome. 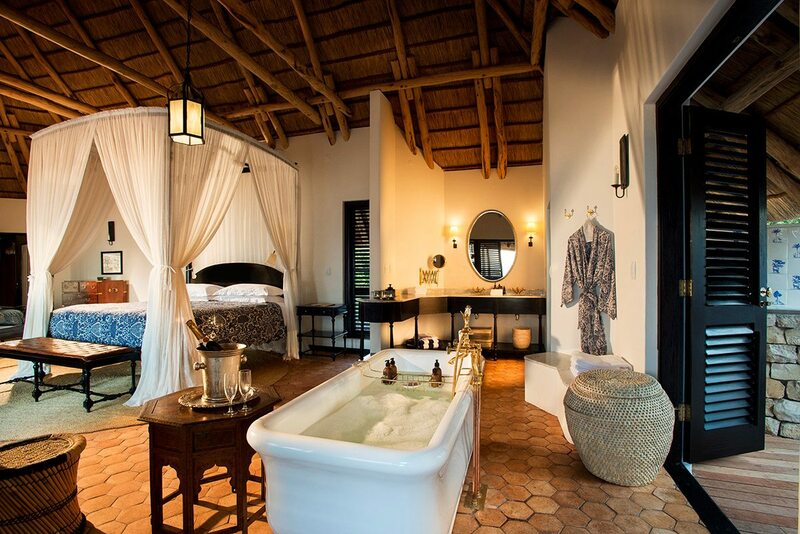 The lodge has one three-bedroom family villa and two casinhas can be converted into triples. Certain activities are age restricted. 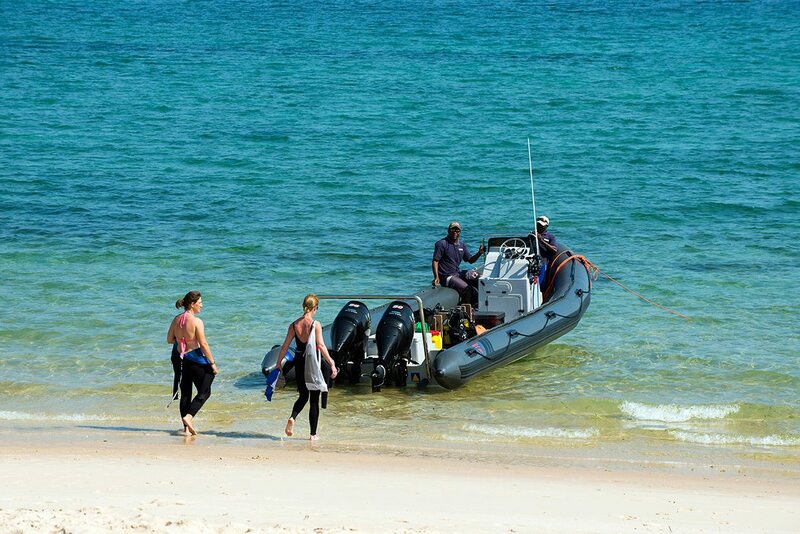 Mozambique has a tropical climate, with year-round warm temperatures. 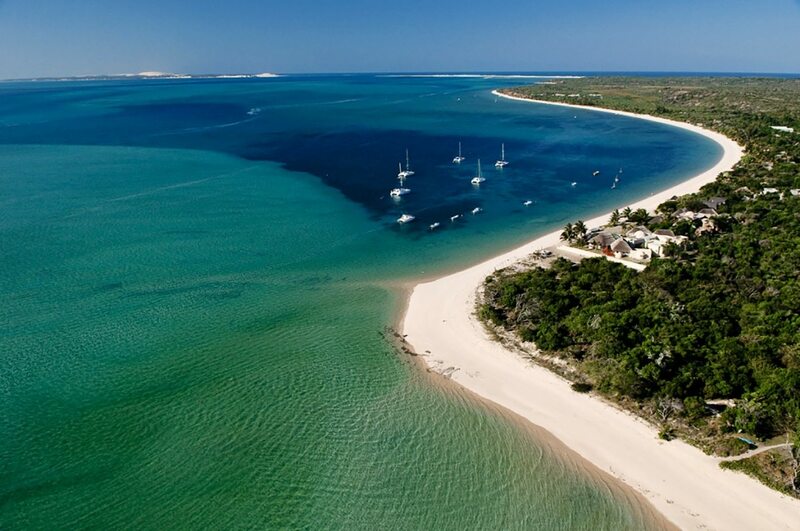 The cooler, dry winter season is the best time for visiting the Bazaruto Archipelago, as the temperatures average a comfortable 27ºC. It’s sunny and the water is still pleasantly warm. Sailfish are found in these waters from May to September while humpback whales migrate through from June to September. 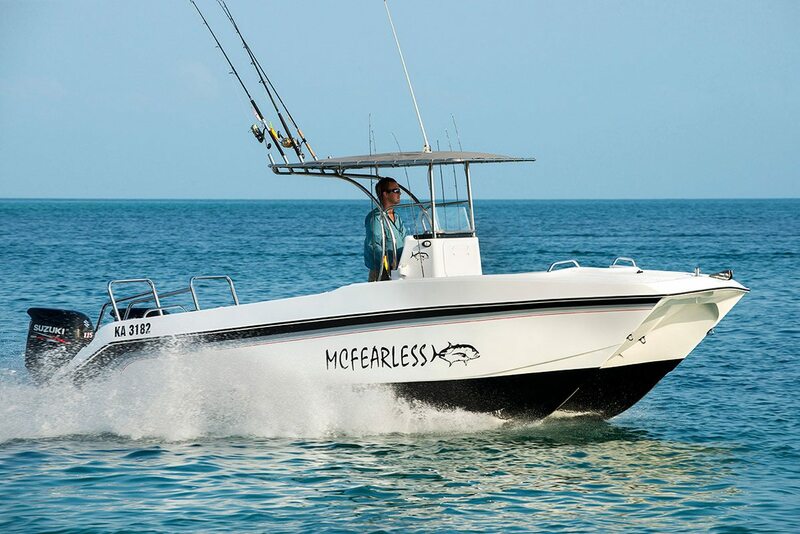 There’s good marlin fishing from September to November. Towards the end of this period (from October to December), you’ll also have a good chance of seeing whale sharks. This is the hot and wet summer season. The average coastal temperature is 31ºC and the rainfall is generally heaviest between December and March, with especially steamy and humid months in December and January. February to March is also hurricane season, so if you go at this time, be prepared for dramatically stormy skies and downpours. On the plus side, the air is filled with migrant birds and you can see whale sharks in early summer (October to December). There’s also good marlin fishing in December and January.